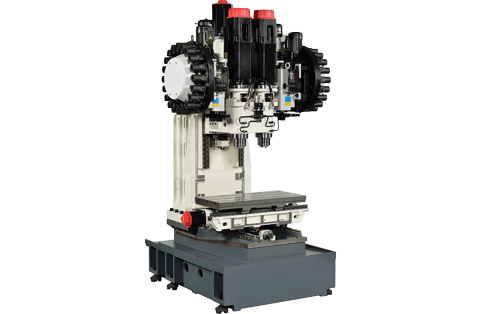 Multi Spindle Machining Center MV324T｜The global integrated machine tool builder - Union MechaTronic Inc.
MV324T features higher production efficiency on the largest working range over the compact footprint; space saving, energy saving and automation suitable for small or medium parts and superior accuracy machining applications. 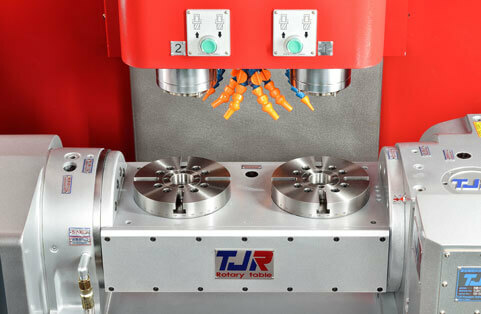 Wider column span, heavy duty and high precision roller linear guide for rigidity. High acceleration/ deceleration 1G and rapid feed rate up to 48/ 48/ 36 m/min to reduce non-cutting time and improve operation efficiecny. 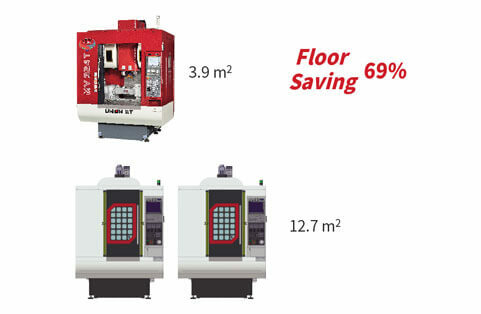 Large work range over compact floor to save space, energy, time and investment.